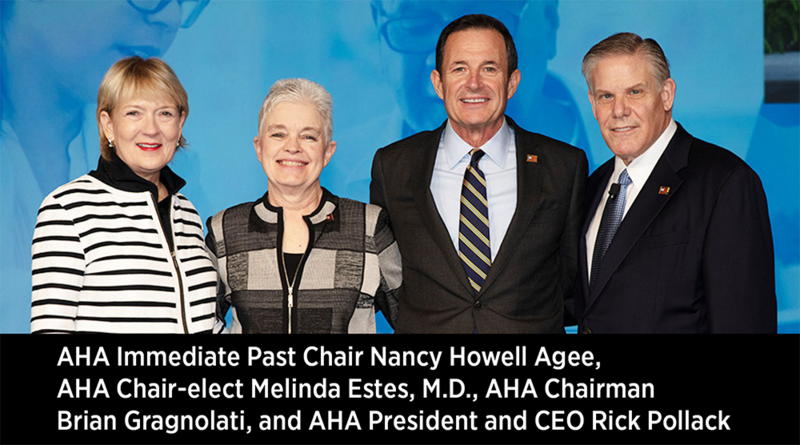 Early in the week, a group of hospital leaders attended the American Hospital Association Annual Meeting in Washington, D.C. I mentioned the meeting and visits with Missouri’s congressional delegation last week. In that column, I was viewing the trip through the prism of health improvement and transformation of the health care system. This week, I want to discuss it from a leadership perspective. 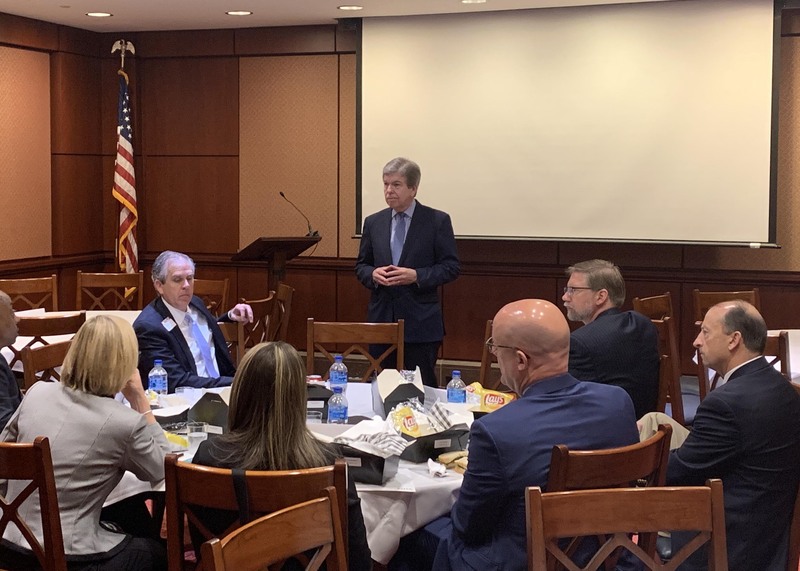 Monday morning, Missouri’s senior senator, Roy Blunt, addressed AHA. He has championed several issues in Congress that are essential to improving the function and value of health care, including behavioral health, research through the National Institutes of Health, substance and opioid abuse treatment, and hospital workplace violence. He mentioned many of these challenges in his remarks, including the pending report from the Departments of Health & Human Services and Labor on how they can “collaborate to strengthen protections and support safe environments for health care workers, patients, families and visitors.” Blunt, as chair of the Senate subcommittee that writes the HHS and Labor appropriations bills, added the language last year at our request after Missouri’s hospitals identified the issue as a top operational threat. Having a good relationship with Missouri’s delegation is important. Having a member of the Senate that is both in leadership and a leader on hospital issues is extraordinary. The visits to Capitol Hill provided an opportunity for our group to share concerns and to thank him for his work to benefit hospitals in Missouri and the nation. Senator Blunt wasn’t the only Missourian on the platform during the AHA meeting. 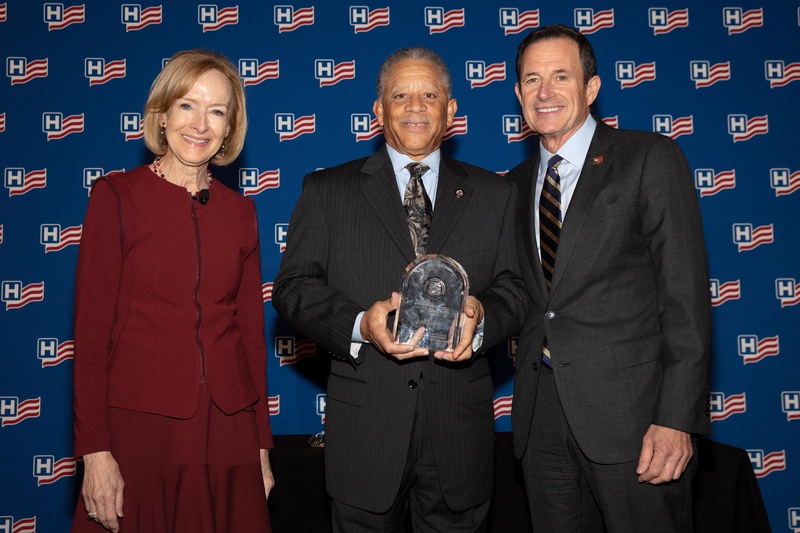 John Bluford, 2006 chair of the MHA Board of Trustees, 2011 chair of the AHA Board of Trustees, and former president and CEO of Truman Medical Centers, received AHA’s 2019 Award of Honor. When he left Truman, he didn’t retire, he founded the Bluford Healthcare Leadership Institute. The institute focuses on issues that he embraced passionately as a hospital executive — innovation and inclusion. The institute exposes young, underrepresented scholars to health care, and challenges them to develop innovative solutions and policies to improve health outcomes for vulnerable populations. AHA recognized Bluford for the institute’s leadership in professional workforce development, diversity and health equity. One more shout out. Melinda Estes, M.D., president and CEO of Saint Luke’s Health System in Kansas City, is chair-elect of AHA. She’s been an important voice on the MHA Board of Trustees, and has served on the AHA Board of Trustees and its executive committee. Mindy is just the type of dynamic leader hospitals need as the health care system evolves. It’s hard not to be a little proud of Missouri and our hospital community this week. When you work with such an amazing group of people on a regular basis — individuals dedicated to improving health and the state — it’s easy to forget how fortunate we are. Thank you Sen. Blunt, John and Mindy for your leadership. The MO HealthNet Division delayed the effective date for requiring hospital outpatient drug reimbursement claims to include the drug’s National Drug Code until Thursday, May 30. The original effective date was Tuesday, April 30. The April 9 bulletin that MHD posted with the new effective date, though extensive, includes no changes to the information included in the bulletin released in mid-February when the policy change was announced. MHA previously reported this change in its February 21 edition of MHA Today. Updates to MLN Connects Provider eNews were issued by the Centers for Medicare & Medicaid Services. eNews includes information about national provider calls, meetings, events, announcements and other MLN educational product updates. The latest issue provides updates and summaries of the following. In accordance with MHA’s 2018-2019 Flu Monitoring Guidance, weekly flu queries were conducted in EMResource beginning Week 40 (Sept. 30 – Oct. 6, 2018) and ending Week 14 (March 31 – April 6, 2019). According to the most recent Missouri Department of Health & Senior Services’ Weekly Influenza Surveillance Report, influenza activity in Missouri has decreased from “widespread” to “regional” classification. Missouri has seen decreases in the number of laboratory-positive Influenza cases, as well as a decrease in the percentage of outpatient visits for Influenza-like Illness. Considering these factors, no change to the Flu Monitoring Guidance procedures should be necessary, and we will discontinue the weekly flu queries as planned. MHA staff will facilitate an evaluation of this flu monitoring strategy and revise our guidance accordingly in preparation for the 2019-2020 flu season. This week Is National Volunteer Week, and MHA celebrates hospital volunteers who lend their time and talent to make a difference in the lives of patients. Not only is volunteering good for hospitals and their patients, volunteers also experience many benefits like feeling healthier and happier. HelpGuide lists four key benefits to volunteering. 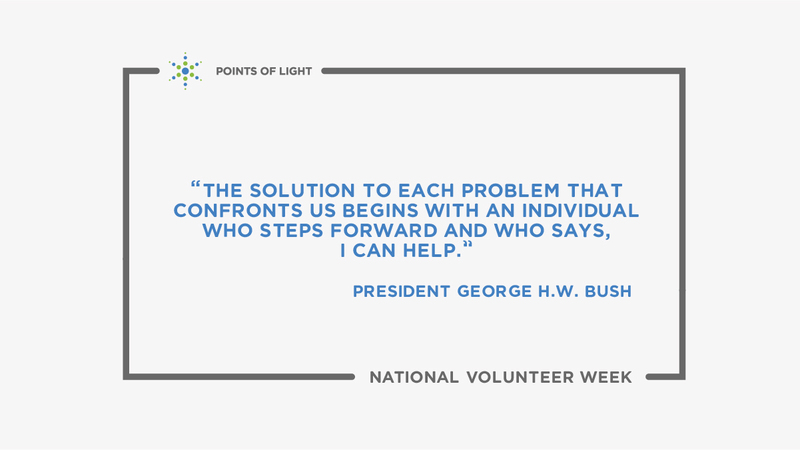 Volunteering connects you to others. Volunteering can advance your career. Volunteering brings fun and fulfillment to your life. Missouri Hospital Executives Advocate In Washington, D.C. Tomorrow is National Scrabble Day. The longest word in the English language is Pneumonoultramicroscopicsilicovolcanoconiosis, which was coined by the National Puzzlers' League as a synonym for the disease silicosis.